Karina's Kreations: Stampin'Up May Paper Pumpkin! Are you a Paper Pumpkin member yet? I’m not sure I’m ready to commit to paper crafting, but I want to try it. 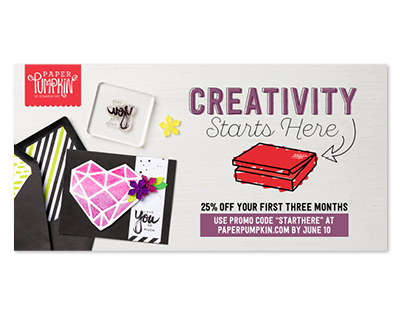 Get 25% off June, July and August paper Pumpkin kits. The regular price is $26.95. I loved last month's kit and I love this month even more. Check out this fun video for last month's kit! Click this link to sign up for Paper Pumpkin! 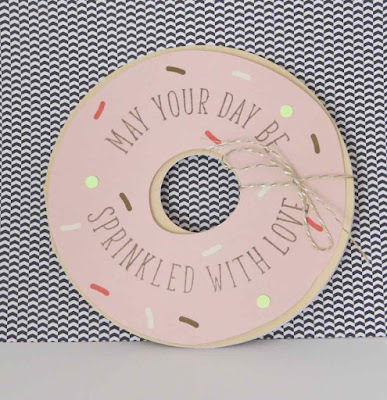 Here's a cute card made with May's kit! Who doesn't love a donut?